THE IDIOTS' BOARD: SOMETHING TO COUNT ON 2! SOMETHING TO COUNT ON 2! The feeling when you started a stick of cigarette you don't want to stop until you finish the whole pack. 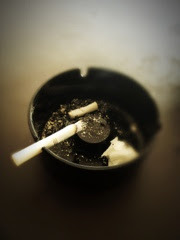 The unselfishness of Marlboro cigarettes - giving out everything for one's satisfaction.